Inter Milan are reportedly in some form of contact over a possible transfer swoop for Manchester United full-back Matteo Darmian. 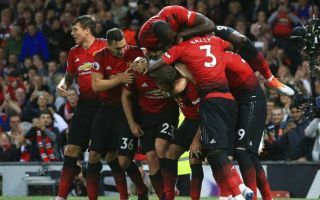 The Italy international has had a difficult time at Old Trafford, failing to settle and cement a regular first-team place for the Red Devils since joining back in the summer of 2015. United would surely not be too adverse to selling the 29-year-old, who is now being linked as a target for Inter to solve their full-back issues, according to Gazzetta dello Sport. The report makes reference to ‘contacts’ over signing Darmian, who could be a useful replacement for the injury-prone Sime Vrsaljko after a tough time on loan at the San Siro from Atletico Madrid. Despite some decent form when he has played, the Croatian’s season has been disrupted by niggling injuries, leading to this reported interest in Darmian. One imagines the United ace would also be open to moving back to his native Italy, where he looked a far more convincing performer at his former club Torino.